It’s been a long time coming, but it is finally here: Facebook for iPad has been officially announced and has been made available for download. Get the download link after the jump! Starting today, in addition to your smartphone or feature phone apps, there’s a new way to experience Facebook—the iPad app. Now you can enjoy your favorite parts of Facebook, combined with the best of the iPad. Facebook really took their time with the official iPad app. According to one of the developers who worked on the app, it has been feature complete since May but Facebook, for one reason or another, decided to delay it. Perhaps Apple forced the company into delaying the app so that it could be a part of today’s Let’s Talk iPhone event announcements. 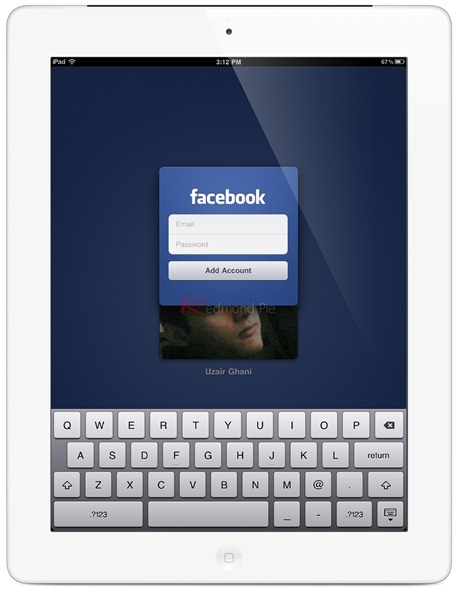 Facebook for iPad was actually leaked back in July in the form of hidden code inside the Facebook for iPhone app. We even published a guide on how you could install it on your iPad. Facebook later blocked the app, but the jailbreaking community released a tweak called FaceForward which let users re-enable Facebook for iPad. There won’t be need to have your iPad jailbroken anymore though, as the Facebook for iPad app has been officially released. This universal app for iPhone, iPad and iPod touch is available for download right now and, as with all Facebook apps, it is completely free. Get it while it’s hot!